Abraham Teo & Co is a well-established, holistic law firm, offering a wide range of legal services in the heart of Singapore’s Chinatown. 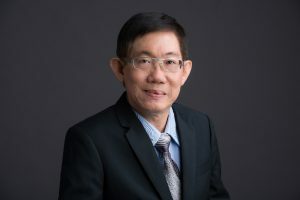 Abraham Teo Siew Kuey is the senior partner of Abraham Teo & Co. He has a total of 24 years of solid experience in legal practice in Singapore. Abraham started his legal career after he was called to the Singapore Bar on 13th January 1993. He graduated with a Bachelors of Laws (LL.B) which was conferred by the University of London on 1st August 1988. He subsequently was called to the English Bar in November of 1991. He was a partner in the firm of Kang Associates and Chang Teo & Partners. As each client is unique and differs in needs and often seeks advice on a wide range of issues, Abraham believes every client deserves his personal attention. If you have an inquiry or are facing a legal issue, please feel free to contact Abraham on a no-obligation basis by calling us at 6435 2933 or fill the form below.